The Tripodi side table from Cascando is a feast for the eyes. The elegant and simple design makes this table a true eye-catcher. The solid aluminium stand and tripod are available in different polishings and colors. 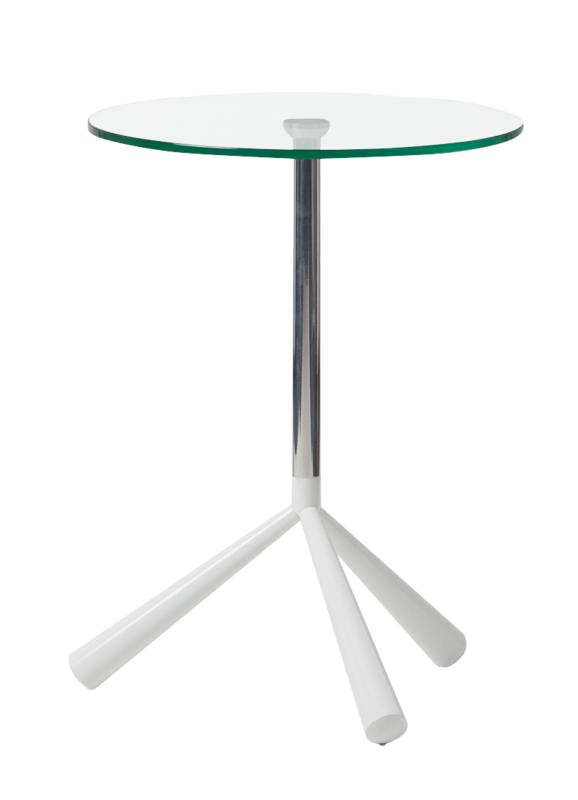 The tabletop of the Tripodi side table consists of tempered glass. The clear glass version is available from Holland.com. 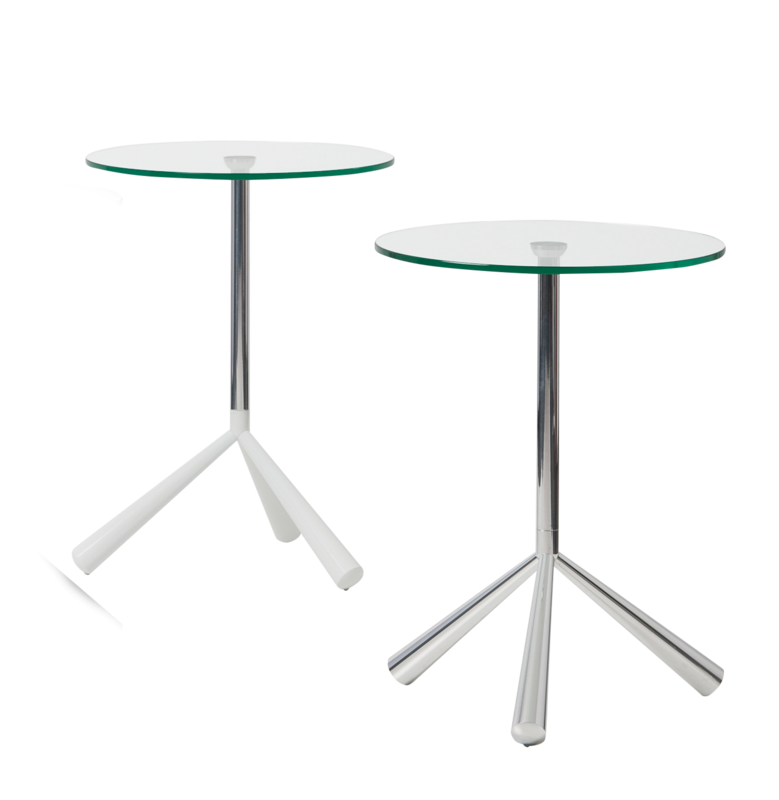 With 60 cm in height and 45 cm in diameter, these tables from Cascando are true designer side tables. The Tripodi side table 'Cascando' is of such artful simplicity and elegance that the question will be how to keep it as empty as possible! 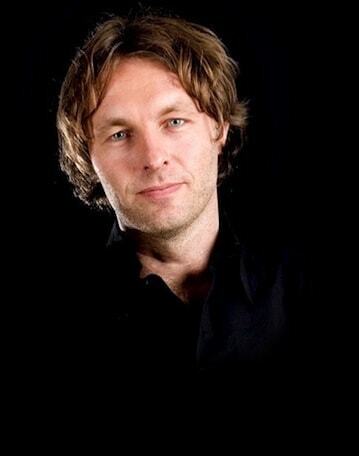 The design by Gerard Vollenbrock is subtle and worldly at the same time, making it a great addition to any decor. 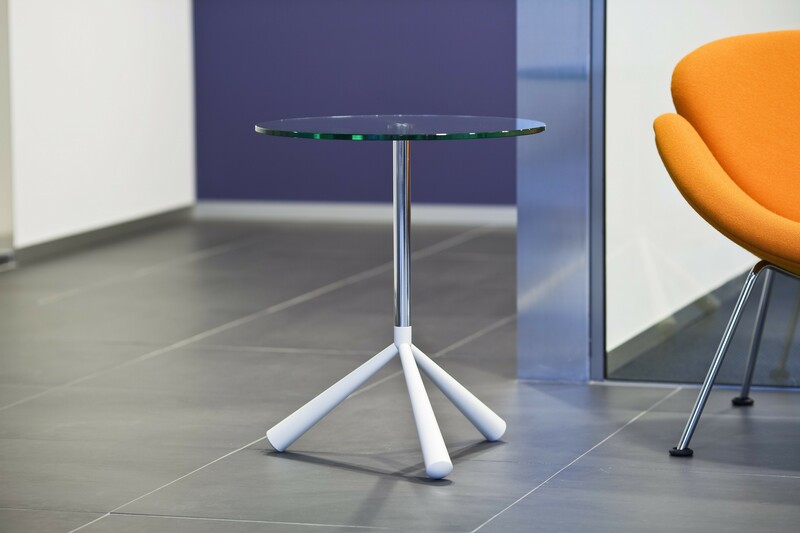 The Tripodi table is a combination of tempered glass and polished solid aluminum. In addition, the height of the side table (60 cm) is also precisely measured for optimal use. Perfect for laying down a book or glass of wine! 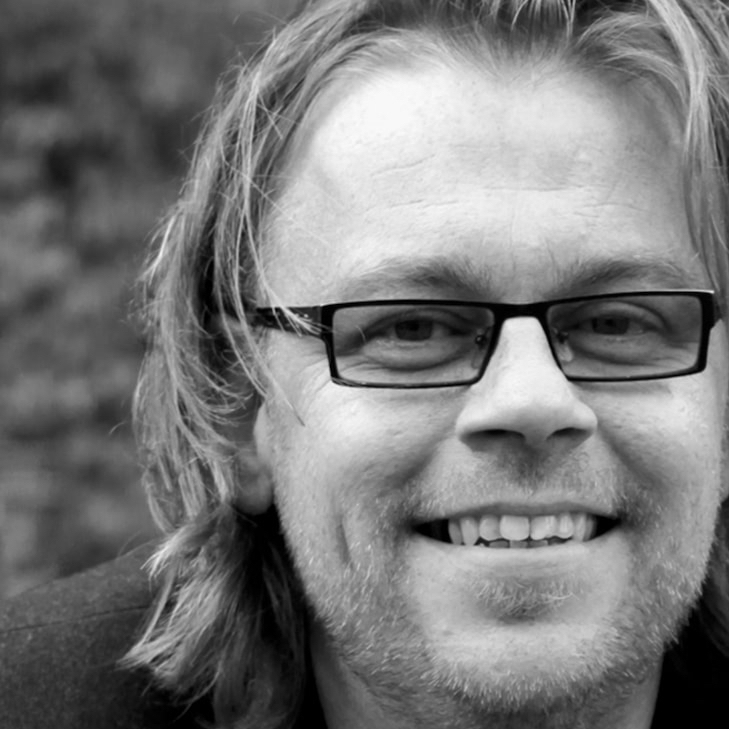 Furniture designer Gerard Vollenbrock loves simplicity and expertly crafted furniture. 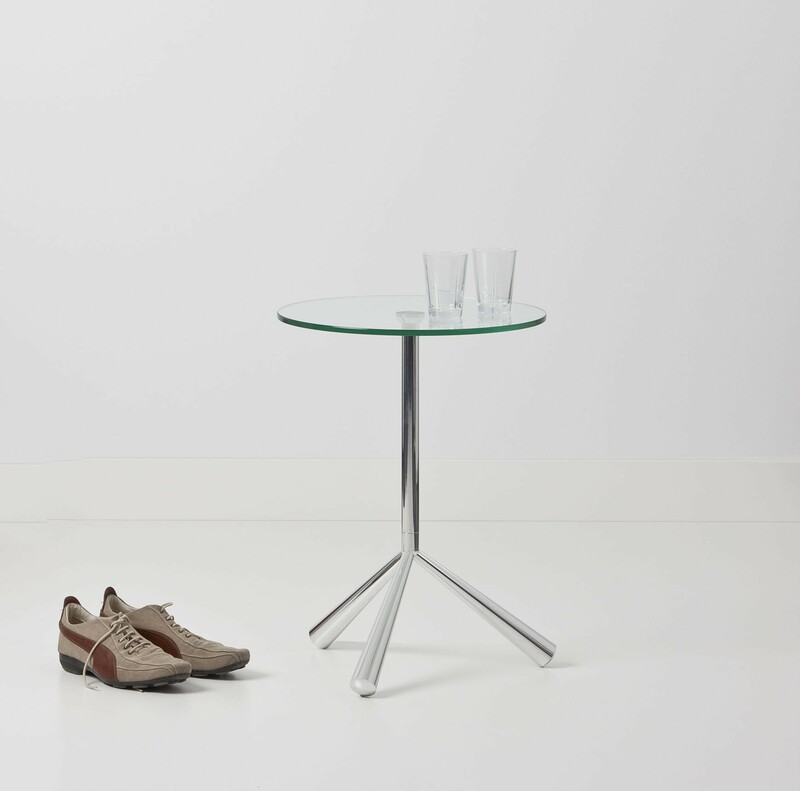 The design of the stylish side table Tripodi reflects those influences. The elegant stand and tripod are available in different polishings and colors of solid aluminum. The stand is gloss-polished while the beams are available in glossy white or polished aluminum. Another subtle detail is the table top of tempered glass. This one comes in two editions as well. Holland.com has the table Tripodi Cascando of clear glass in stock. 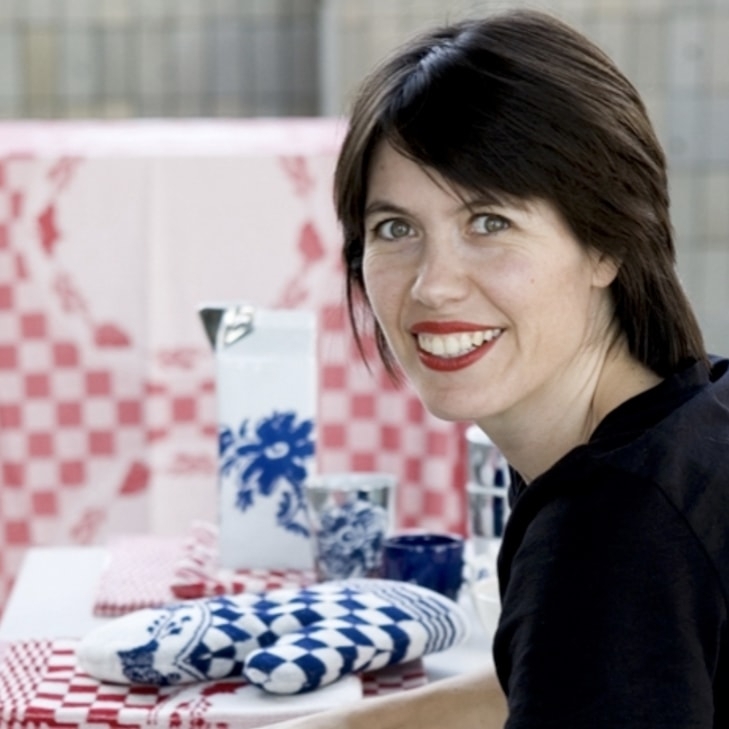 Cascando has an excellent team of designers. The designs are innovative and each has its own distinct signature. Cascando is known for its high standard in materials, workmanship, and durability. 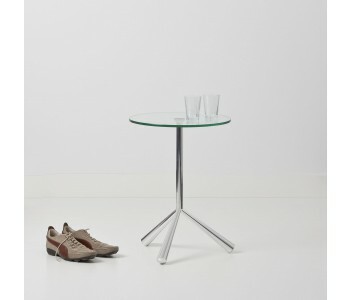 All interior products, including the Tripodi side tables from Cascando, are devised, developed and produced in-house. They make every living and working environment personal and inspiring!